Home » General » Pleased to Meet You » Brand new here! Just discovered this Forum today! I live in Texas and raise AMHR/AMHA/ASPC Miniature horses and ponies. 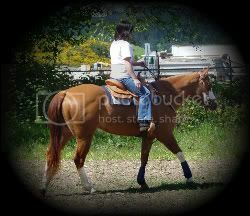 We show rated shows, do parades and any other function to show off our horses! Someday I'll get brave and try an ADS show. I find color genetics fascinating! I hope to learn so much more here on the studies. Welcome! Glad you found us. We love to see pictures so feel free to share! Glad to have you here. You will find this board has lots of people with actual EXPERIENCE. Sometimes they overwhelm me, but I'm still learning from them each time.